The intrigue of drawing natural forms is to capture both their detail and distinct organic characteristics, yet also imbue them with a sense of mystery. 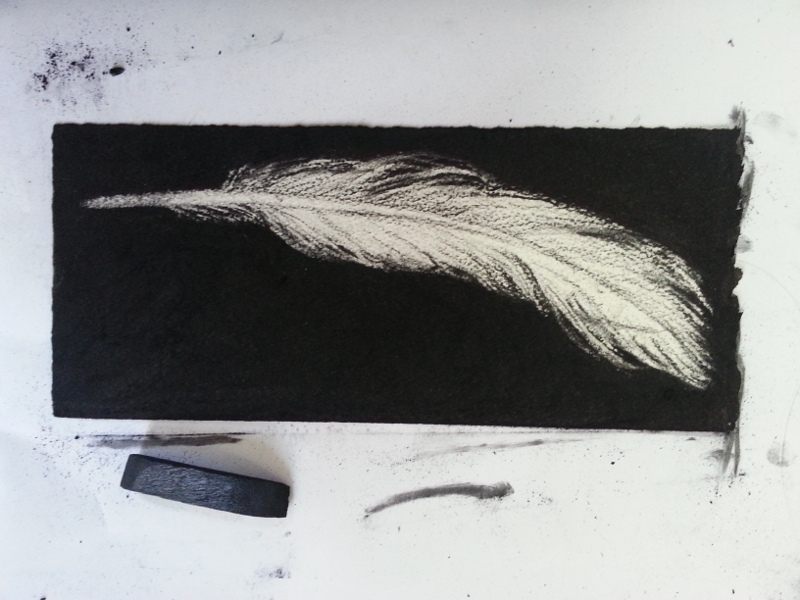 Beauty and mystery are two themes that are intertwined in my artistic practice and using the sparest materials of charcoal on textured paper is intrinsic to this process. The culture of collecting specimens, classifying and analysing to broaden our knowledge has a history that predates the naming of disciplines like biology or botany, science or art. Curious people have always fathomed the intricacies and workings of the natural world, sometimes with awe and wonder, sometimes to understand and appreciate, sometimes in order to control and use. Drawing natural forms has been one of my preoccupations since 1999 when I first created a large cloud drawing that was chosen as a finalist for the Dobell prize for drawing at AGNSW. The drawings that followed included panoramic skyscapes, branches of cherry blossoms and night sky constellations. A study of NSW plants followed in 2011, when I embarked on a series of 48 drawings inspired by the abundant desert plant life from the arid region of the Barrier ranges, 1100 km west of Sydney. This suite of charcoal pieces titled: NSW desert plants is currently under acquisition by the AGNSW. 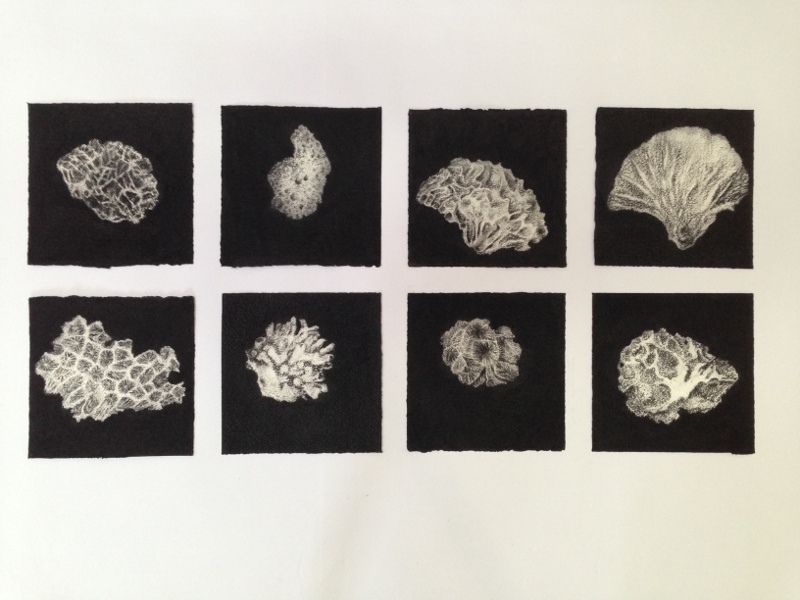 Since completing these drawings, my work has continued to focus on natural subjects, many from the sea, including this selection of drawings of coral. As an artist, my first inclination has been to select a subject that resonates visually and can fulfil my aims in drawing. This process has been extended and enhanced over the last few years through conversations and research prompted through my relationships with UTS Professors: Martina Doblin and Peter Ralph. Martina and Peter have opened my eyes to see that the objects I draw are part of a vast and intricate network of marine biology. The coral drawings also represent skeletal calcium carbonate structures that play a vital part in the balance of our ecosystem. This is a rich underwater landscape which is currently under threat from warming waters, bleaching and the acidification of the ocean. Creating and exhibiting drawings of organic objects and in particular these corals not only documents and celebrates them as part of our natural world but also inherently brings awareness to their fragility and vulnerability in a climate of threat and change.